Business-light. Als Business-Ultrabook, das eine Fülle von Militär-Zuverlässigkeitstandards erfüllt, entspricht die Verarbeitungsqualität des 6430u sicherlich den Anforderungen der meisten Geschäftskunden. Außen zeigt es sich also stark, doch entspricht auch die Leistung im Inneren? Das Dell Latitude 6430u ist kein Allerwelts-Ultrabook. Licht und Schatten sind großzügig verteilt: Die Bedienelemente sowie die Tastatur sind wie die Haptik des ganzen Gerätes hervorragend. Leistung und Schnittstellenauswahl sind für ein Business-Gerät gut gelungen. Man braucht recht wenige Adapter, da Ethernet und VGA in normaler Größe im Dell Latitude 6430u eingebaut sind. Das Dell Latitude 6430u hinterlässt im Test einen gemischten Eindruck. Auf der einen Seite hebt es sich durch eine robuste Bauweise, einfach zugängliche Komponenten und seine Erweiterbarkeit wohltuend von anderen Ultrabooks ab. Auf der anderen Seite ist es mit einem Gewicht von über 1.600 Gramm, Mängeln in der Verarbeitung, schwacher Display-Auflösung und fehlenden Docking-Möglichkeiten nicht auf jeden Geschäftsreisenden zugeschnitten. 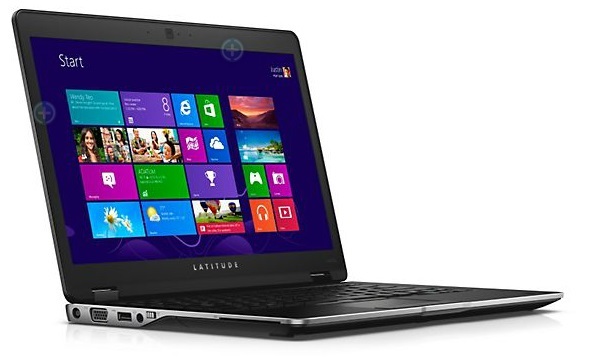 The Dell Latitude 6430u is an impressive entry into Dell's business lineup. It proves that within the boundaries of the Ultrabook classification, there is the option to include extra connectivity and a removable battery, which are both features that are useful in a business setting. If there is a problem, it's to be found with the lack of a touch-sensitive display and sub-par screen resolution. Other than these issues, there's a great amount of versatility here, helped with Dell's customisable specification options when assembling your order. One word of caution though: expect to spend a hefty amount of change to get what we'd call a decent level of performance. If there’s one disappointment, it’s the 14in screen. We like the matte anti-glare finish, and the resolution of 1,600 x 900 is enough to make the panel feel pin-sharp. The brightness level of 344cd/m2 is good, too, and ensures the panel will remain legible under bright office lights. The big problem, though, is poor image quality. As a working laptop and desktop I can see a lot of companies going for the 6430u without a doubt. For individuals there’s the question of touch which I know can add some fun after-hours. If you are looking for something more 24/7 then maybe the Lenovo Yoga 13 is the answer for you. I rarely get this enthusiastic over a corporate product of any sort, but I'm a sucker for products that are tactilely and ergonomically superior. The Latitude 6430u is expensive, but most truly superb things are. Even consumers should seriously consider this ultrabook, since the entry-level configuration is more than adequate for most purposes, and the three-year warranty makes a big-box store's extended warranty unnecessary. 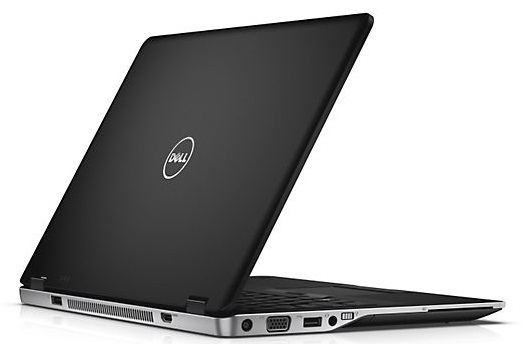 The Dell Latitude 6430u is an ideal unit for users who want a mix of portability and productivity. The sleek ergonomic design makes the notebook easy to hold and traverse with, while the extensive battery life ensures that the device will last while in the absence of a power supply. Additionally, the impressive Intel i5 quad-core processor with 8GB of RAM allows the notebook to tackle a plethora of programs simultaneous; and to top it all off the well-built keyboard and touchpad provide a comfortable experience to help maximize productivity. Overall, with the Latitude 6430u Dell delivers a solid-feeling, IT-friendly laptop that's a pleasure to use. We only wish there were an option for a 1080p IPS panel for better viewing angles and more screen real estate for multitasking. 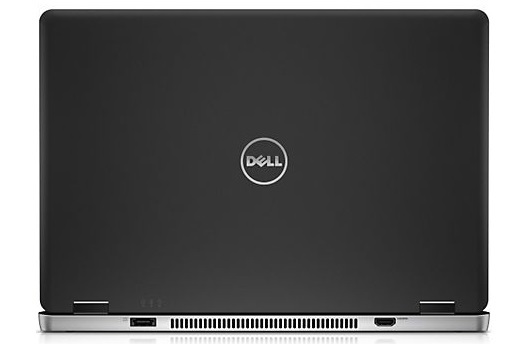 Dell recently upgraded its admirable 13.3-inch XPS 13$1,446.99 at TheNerds.net ultrabook to 1080p; it would seem sensible to take that step for the 6430u as well. The Dell Latitude 6430u is a business Ultrabook that's good enough looking for executives yet durable enough to drag to off site sales calls month after month. It offers solid Ultrabook level performance with ULV Intel third generation CPUs and it's powerful enough for business tasks and downtime with HD movies and even some light gaming. Dell has produced a good business Ultrabook, but it could have been great: a better quality display would make this a high-end business laptop to be reckoned with. 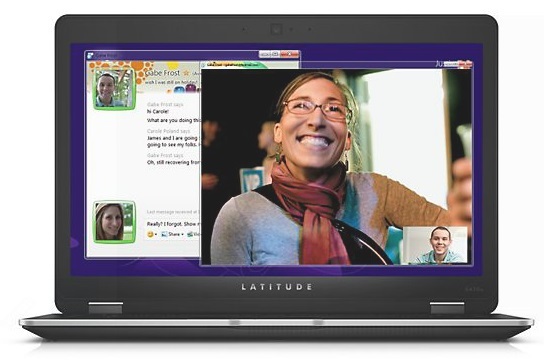 At this price, however, the Latitude 6430u retains an obvious appeal. With sturdy build quality backed by a three-year, next-business-day warranty, excellent ergonomics and nippy performance, this unflashy Ultrabook is as good as it gets for less than £1,000. The Dell Latitude 6430u is a great choice for those who want productivity for work without having to settle for a drab business-as-usual ultrabook. It comes with an external optical drive, sports an excellent keyboard, and boasts terrific battery life. While the Lenovo ThinkPad X1 Carbon is still a superb business ultrabook that weighs a pound less, the Latitude 6430u's extra features justify its additional bulk, and it consequently snatches the crown by virtue of its larger port selection, removable battery, and inclusion of an HDMI output, It's a very close call, but at the end of the day the Latitude 6430u rightfully earns our Editors' Choice for business ultrabooks. WIRED Exceptional performance (when it’s firing on all cylinders). Looks good, at least in the boardroom. Five hours of battery life is solid for the category. External DVD burner just a $74 add-on. TIRED No touchscreen on a Windows 8 ultrabook? What’s the point? Erratic performance issues. Dismal screen quality and brightness. Obese. Wildly overpriced. Loud fan. The Dell Latitude 6430u isn’t your average ultrabook; it was designed and built specifically with the business world in mind, offering robust security measures, some rugged build features, and relatively easy and powerful manageability. But it’s not just a boring business box; it includes some smart design features such as the rubberized finish and silver accents, and the specifications are more than sufficient for what you’ll typically need in the business world. With its attractive yet durable design, strong performance and solid battery life, the $1,278 Dell Latitude 6430u is a strong choice for mobile professionals. Consumers looking for a lighter business notebook with a better display and pointing stick might want to check out the $1,349 Lenovo ThinkPad X1 Carbon. However, they'll lose VGA and Ethernet and have to pay slightly more. Positive: Solid workmanship; matte screen with wide opening angle; good performance; good connection. Negative: Thick and heavy; narrow viewing angle of the display; narrow touchpad. 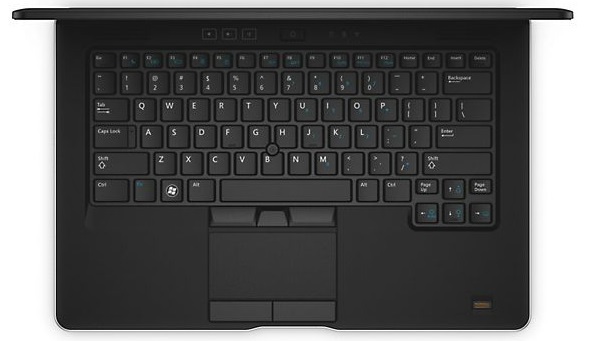 Positive: Full metal material; comfortable keyboard; good performance; very good battery life; 5 buttons touchpad. Dells bekannte Business Laptop Serie wurde nun um ein Ultrabook erweitert. Das Dell Latitude 6430U ist in vielen Konfigurationen erhältlich. Der Kunde kann nicht nur eine Intel Core i3, i5 oder i7 CPU auswählen, sondern auch die restliche Hardware entsprechend seiner Bedürfnisse konfigurieren. Es bietet einen 14-Zoll Breitbild-Bildschirm und wiegt nur ungefähr 1,7 kg und kann damit gut unterwegs eingesetzt werden. Zudem ist es mit sehr schneller WiFi Hardware ausgestattet und hebt sich damit von der Konkurrenz ab. Dell wirbt mit einer Akkulaufzeit von bis zu 10 Stunden bei normaler Verwendung. Apropos Leistung: Windows 8 Apps laufen sehr gut auf diesem Laptop. Da er jedoch keinen Touchscreen bietet, kann der Nutzer nicht von alle Windows 8 Vorteilen profitieren. Die niedrige Auflösung von 1.366 x 768 Pixeln wird Manche vom Kauf abhalten. Viele Laptop-Hersteller verbauen heute bereits FullHD Bildschirme. Die niedrige Auflösung ist daher ein großer Nachteil. Dennoch ist das Dell Latitude 6430u ein hochwertiges Ultrabook, das sich für den Business-Einsatz eignet.